The Big Red Machine of the Cincinnati Reds was one of the most feared teams since the 1927 Yankees. 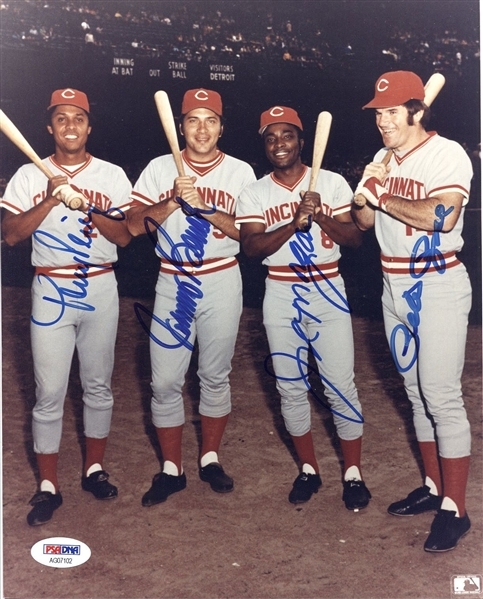 With Pete Rose Johnny Bench Joe Morgan & Tony Perez starring for the city on the river, the Reds won 4 National League Pennants and 2 World Championships during the 1970’s. 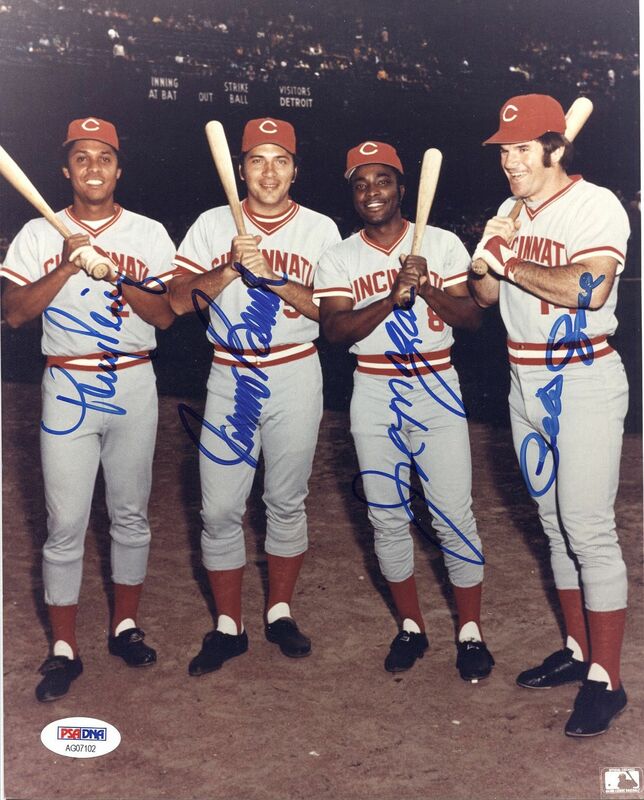 Offered is this gorgeous signed 8x10 color photo showing these sluggers in their prime and signed by all 4 Hall of Famers (Rose is indefinitely banned from the Hall).